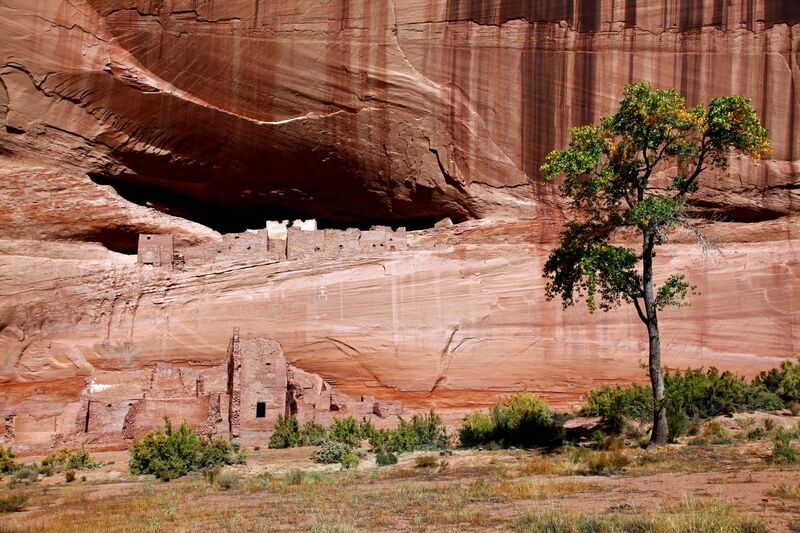 The White House Ruins Canyon de Chelly are the remains of a large Ancestral Puebloan (Anasazi) dwelling in Canyon. The ruins are composed of about 80 rooms and four kivas located both on the canyon floor and in a cave 50 feet above ground level. The ruin’s name comes from the white plaster used on the walls in the upper section.